4 guns of this type were made by Krupp. 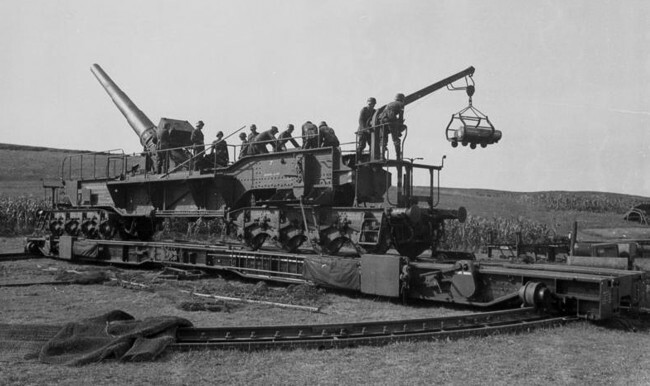 At first it was named Theodor-Karl but the Karl was a huge 60 cm mortar so to avoid confusion the name of the railway gun was shortened to Theodor. The mounting was riveted.